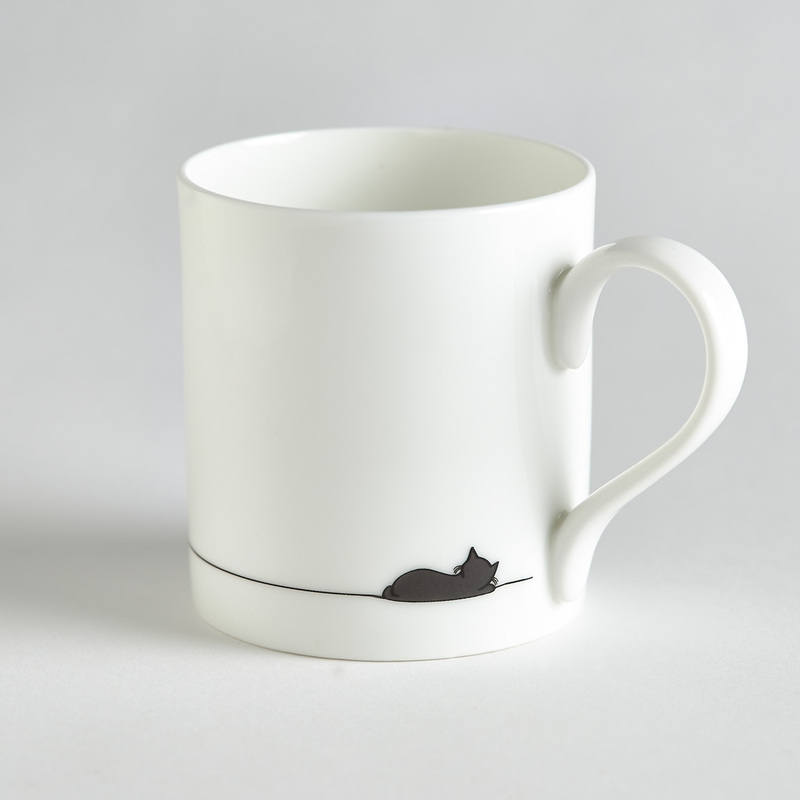 Sleeping Cat sleeps peacefully in the corner of this attractive, fine bone china mug. Part of the Sleeping Cat Collection including a Tea Towel, Coasters and Worktop Saver. Sleeping Cat is for anyone who loves cats, and for anyone who has loved and lost. It's a clean and simple illustration which has been hand-decorated to the highest quality. It would make an ideal gift for cat lovers or for anyone with a moggie in their life. 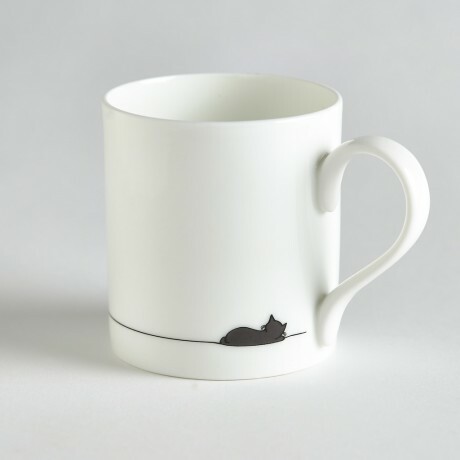 The simplicity of the design is a contrast to the hustle and bustle of every day life and is perfect for taking time out and enjoying your favourite cup of tea or coffee - with or without your cat. The mug has been traditionally hand-decorated in Stoke-on-Trent in the UK. It will take up to 275ml of your preferred beverage and is 82mm high. The fine bone china mug is dishwasher safe. To maintain appearance wash at a lower temperature or hand wash.
And don't forget Sitting Cat Collection.